Organisers of the 2014 Sunderland Festival of Running have announced details of a racing challenge designed to attract running clubs from throughout the North East to the Sunderland City Half Marathon and 10K. The Sunderland City Challenge is being sponsored by travel company HolidayDiscountCentre and offers three cash prizes, with the first prize also including a trip for four to Ireland. 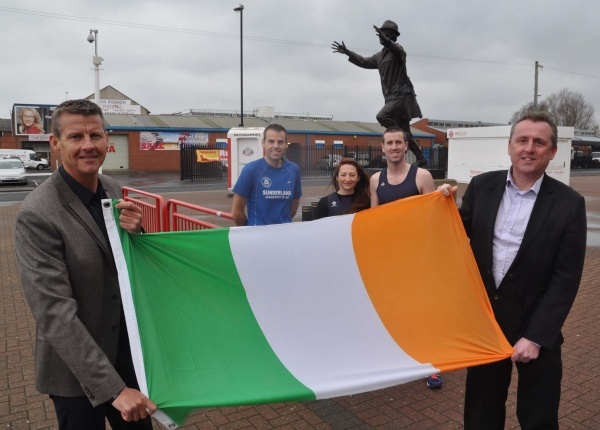 The 2014 Sunderland Festival of Running will be held on Sunday 4 May and will involve two main races that start and finish at the Stadium of Light. Since its launch in 2011, the Sunderland City 10K has grown into a popular established road race on the North East sporting calendar. Introduced last year, the Sunderland City Half Marathon will follow a flatter route with fewer turns in 2014, offering runners an opportunity to post fast times early in the summer season. To qualify for the Sunderland City Club Challenge, each club must enter a minimum of three finishers in each event, one of whom must be female (again, in each race). The team with the lowest cumulative time from their best two performances in the 10K and Half Marathon (including at least one female counting in each event) will be crowned Sunderland City Club Challenge winners. North East based online travel company HolidayDiscountCentre has agreed to sponsor the Sunderland City Club Challenge, allowing the event organisers to offer improved prizes for the top three clubs. The winning club will receive £500 and will get to send a team of four to the Rock n’ Roll Dublin Half Marathon in August. The prize includes travel and accommodation. The second team prize is £200 and the third team will win £100. “We are really happy with the new route for the half marathon. It’s a flatter and more straightforward course and it should appeal to club runners who are determined to post fast times in the first half of the year. Both the half marathon and 10k routes also offer plenty of great vantage points for spectators, which will add to the atmosphere and sense of occasion. The event organisers are expecting more than 4,000 people to take part in the Sunderland Festival of Running events on 4 May 2014, with thousands more lining the streets of Sunderland to support the runners. For more information about the 2014 events and to book a place on one of them visit www.sunderlandcity10k.com. While the adults are out tackling Britain’s Most Beautiful Marathon back at Leaplish Waterside Park our next generation of runners show us what they’re made of! Kielder Junior Run will be on 4th October 2015.